I’ll admit it, I watch a lot of food network. Not all of it but for the most part if you come over, most likely the food network will be on. It’s really cool to watch the competition shows like Iron Chef, Chopped, and Top Chef with my roommates. They noticed that I seem to call out the dishes right before they are mentioned on these shows. Not always, but often enough! So Sam decided to make his own challenge to test my abilities. He wanted it in the style of Chopped, where he would choose 3 or 4 ingredients, and I would have to either make a starter, entrée, or dessert (god forbid). Sam and/or any other number of people selected 3 or 4 ingredients from the market (usually Safeway) and decide if the challenge is for a starter, entrée, or dessert. Then I get 15 minutes to get whatever ingredients I need from the same market. Already purchased things from our home pantry are also allowed. 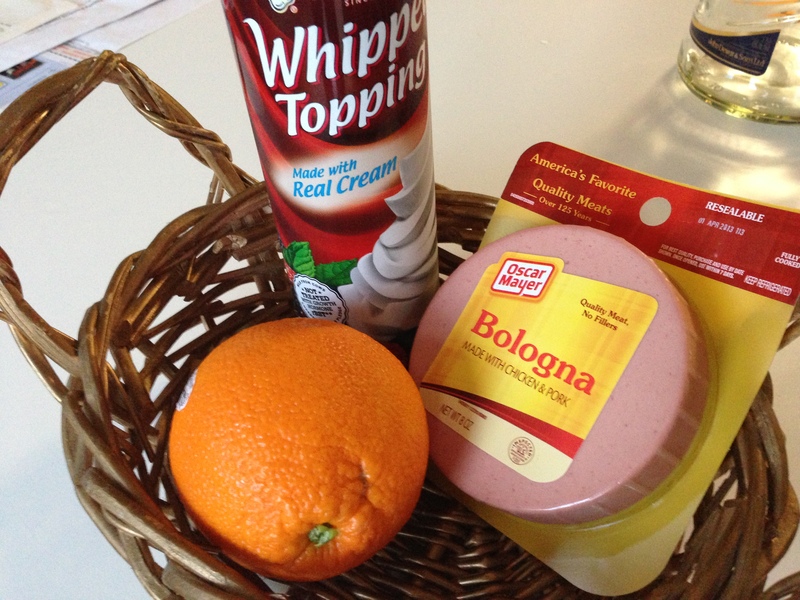 First challenge: Entrée with Orange, Whipped Cream, and Bologna . A pasta dish? Nah too weird. 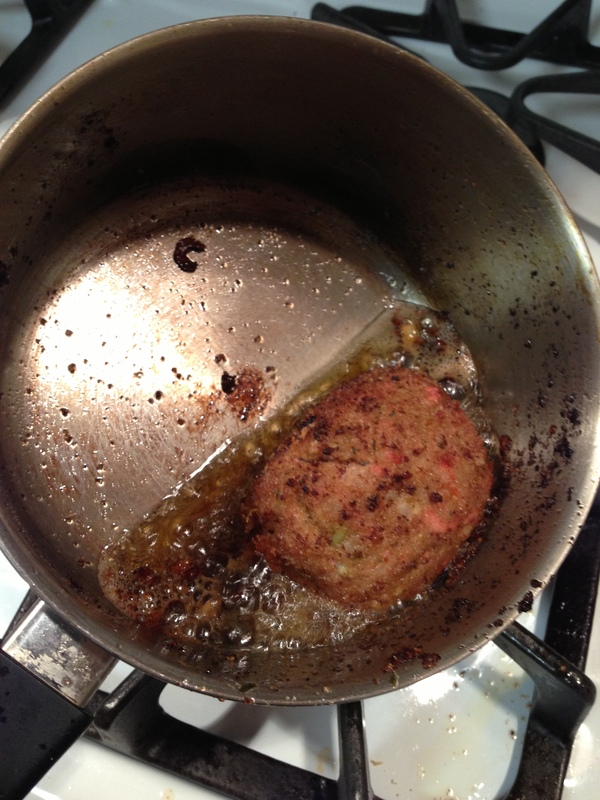 A meatloaf? That has some merit. 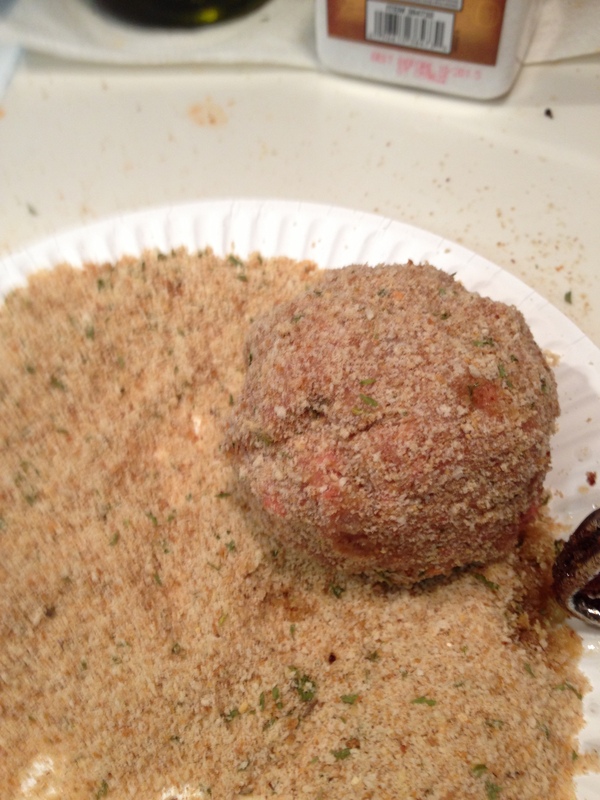 I decided to make a scotch egg. Why? I knew the orange and the whipped cream had to go into a sauce. I also knew that bologna is super weird and I have to hide the bad parts about it (it’s taste reminds me of school lunches). 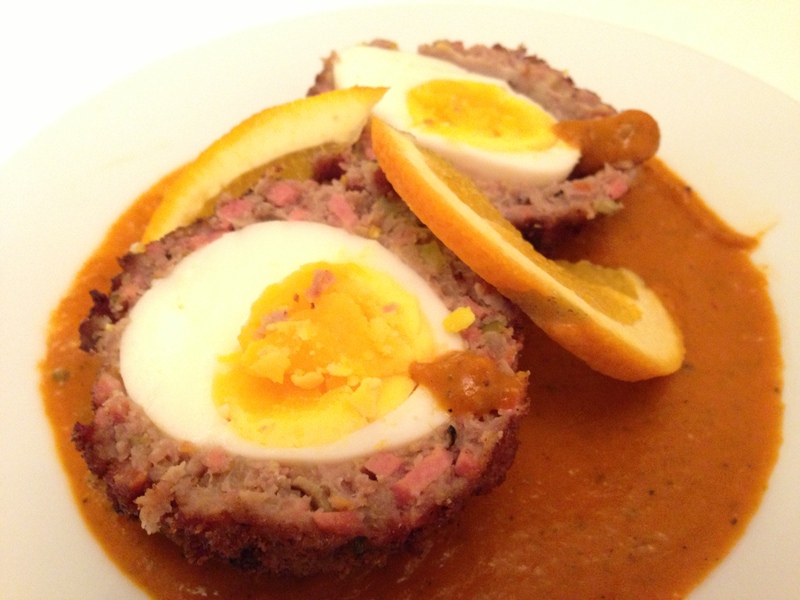 So I decided to make a Turkey and Bologna scotch egg with a roasted red bell pepper and orange sauce. Couldn’t think of anything else that fit well. This new series of post will not include recipes because it might get real weird here. Just take it as it is. Let us know what you think about each challenge! We would love feedback. Rolled together ground turkey and minced bologna, chopped green olives, salt and pepper. Cover that over a soft boiled egg. 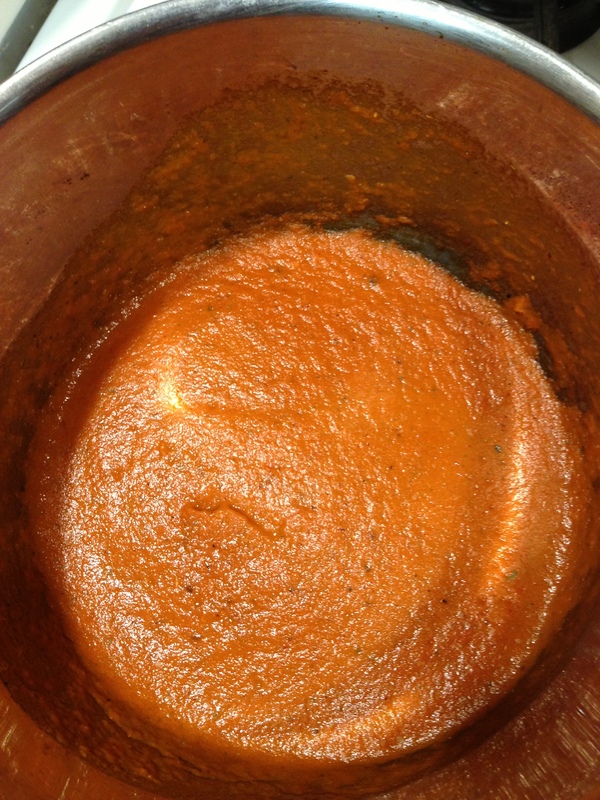 The result, a peculiar taste that actually works. Maybe a little less whipped cream (I wanted it to stand out so I have to be generous). But all the flavors worked. Seasoned well. Sorta creative. We just need to sort out how these will be rated. If you are brave enough to try, come on over for the challenge! This entry was posted on February 12, 2013 by rrfoods in Challenge, Dinner and tagged bologna, challenge, orange, roasted bell pepper, scotch egg, tomato, turkey, whipped cream.